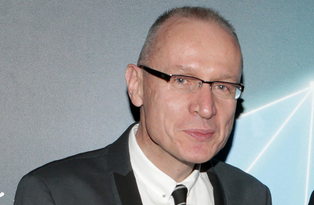 News Corporation CEO Robert Thomson remains committed to Foxtel being floated on the stock market despite falling revenues at the subscription TV service. Thomson told investors following the release of News Corp’s 2018 annual report he was confident the company could turn around Foxtel’s falling subscriber and advertising revenue citing a new mood and momentum at the pay-TV operator along with plans for tighter cross-promotion with News’ Australian mastheads. “I have just returned from Australia and it’s fair to say that with Patrick Delaney you have a new team, a new mood, a new momentum,” said Thomson. Patrick Delany was appointed to lead Foxtel in January following the merger with Fox Sports that saw News take control of the subscription TV business. Following Delany’s appointment, former Nine managing director Amanda Laing joined the business and high-profile marketer Andy Lark was appointed chief marketing officer. Foxtel sees the acquisition of the cricket rights as an important part of offering year round marquee sports which, Thomson believes, will drive the subscription numbers. He also flagged more cross-promotion with News Corp’s Australian newspapers. “The new Foxtel will also work much more closely with our mastheads, which we expect to become an important marketing platform for subscribers. I was in Australia in recent days and its patent that there is a renewed vigor, creativity and customer consciousness at the company. Thomson also flagged increased investment in streaming and over the top products, an area which has seen the company, which dominates Australian pay-TV be overtaken by competitors in recent years. “For Foxtel, we are confident that the current phase of investment in rights and technology should drive increased subscriptions and value for our investments. There’s a new word for spin news Corp. It’s churn. hahaha yup and the free give always and discounts to reduce the carnage….any subscriber not wanting to pay full price needs to disconnect to get a discount…such a bad business model….